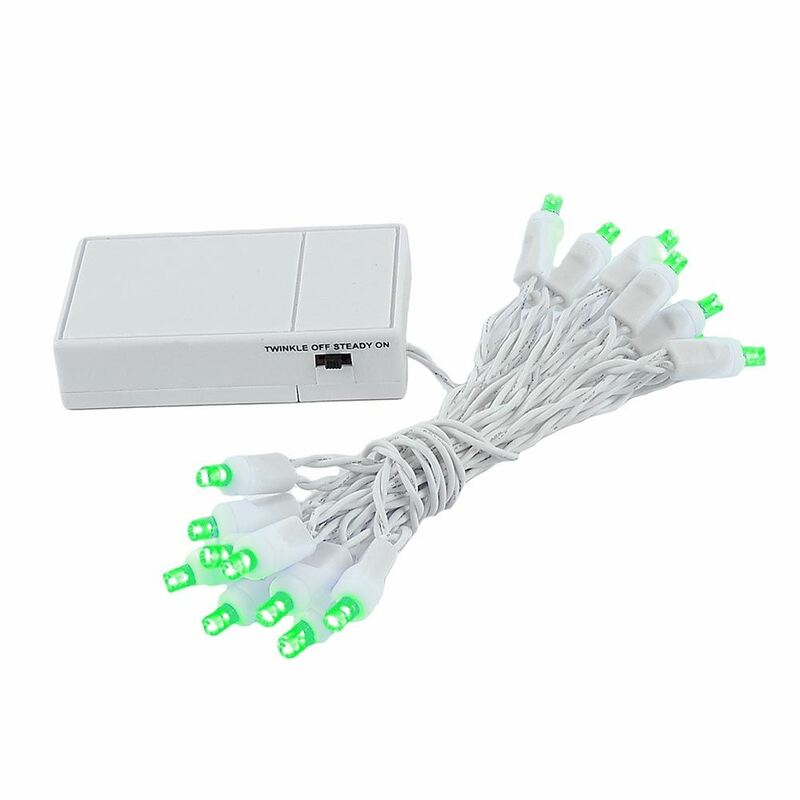 20 light battery operated LED Mini Christmas Lights with a Wide Angle 5mm Concave bulbs on both green and white wire. 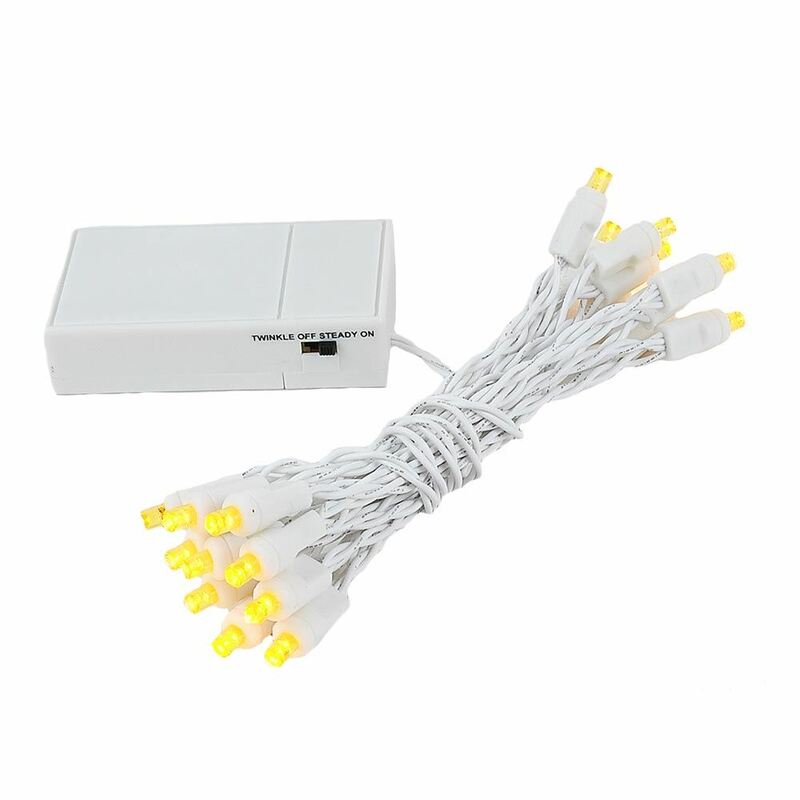 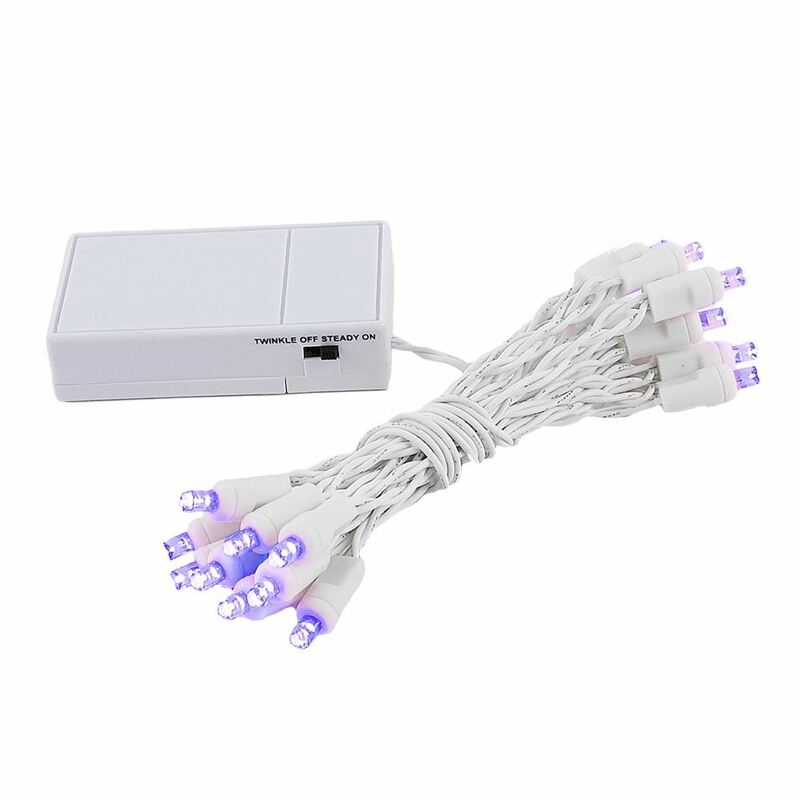 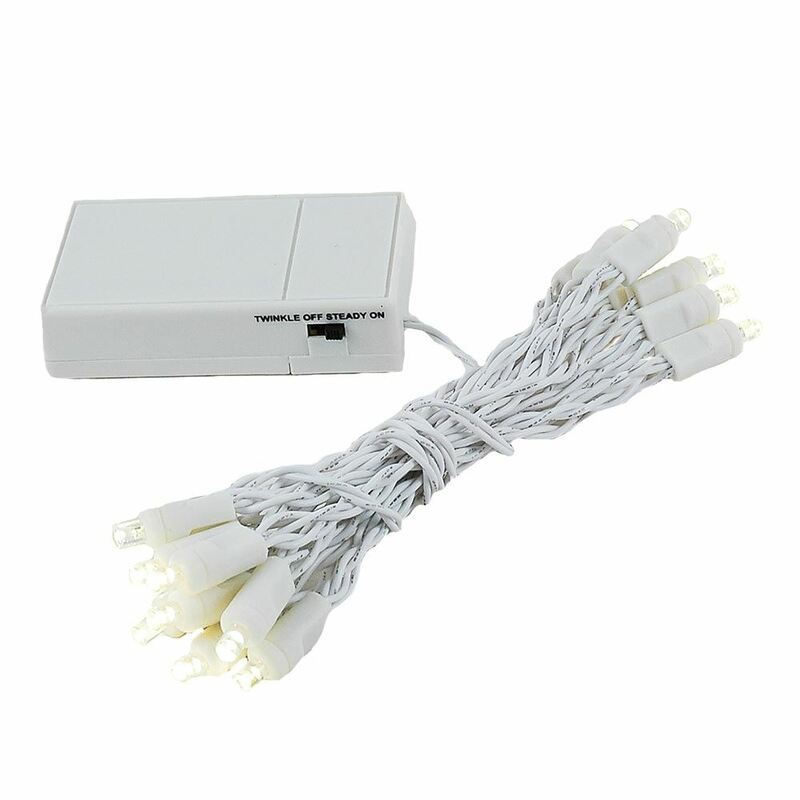 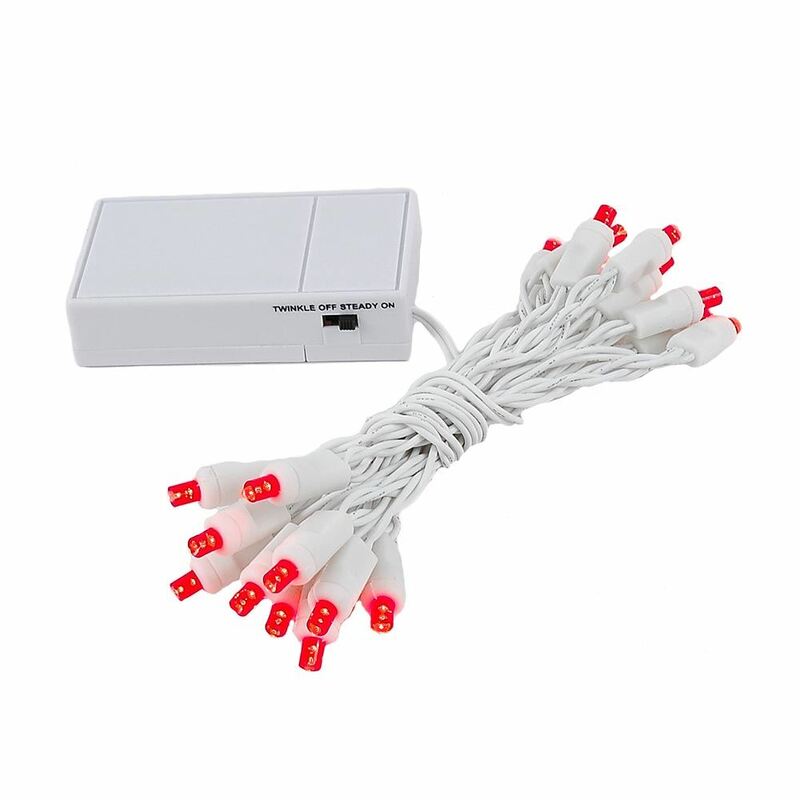 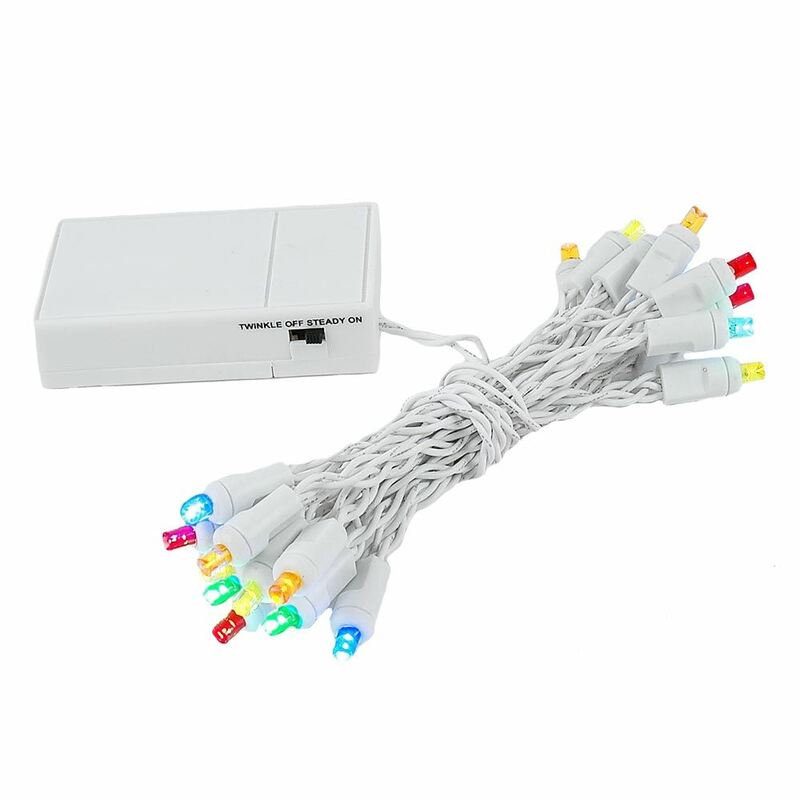 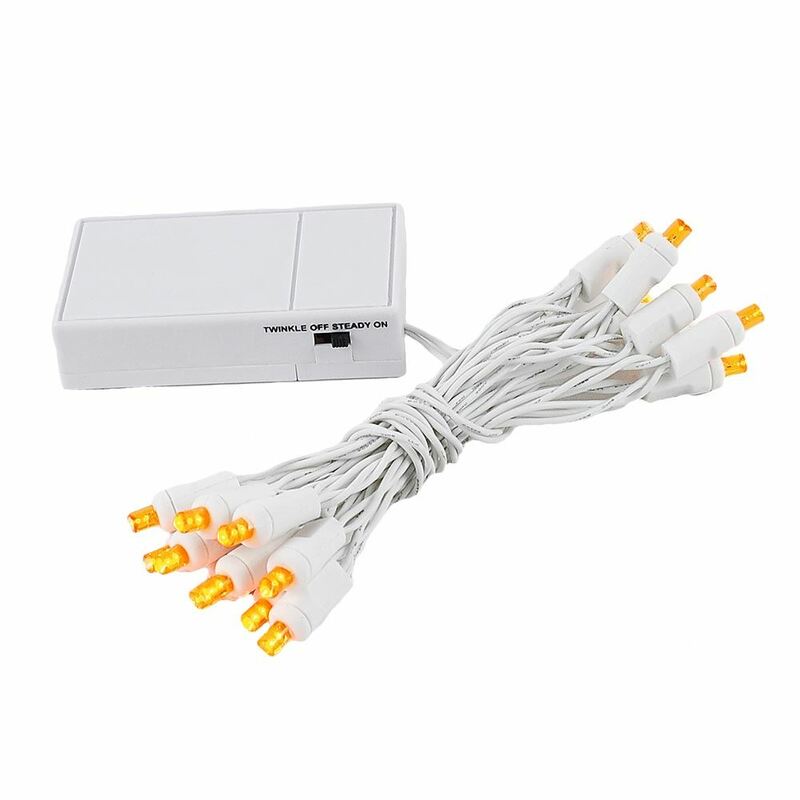 These high quality Light sets have 20 light sets and available in these colors warm white, pure white red, green, blue, orange, yellow, pink, purple, and multi led bulbs. 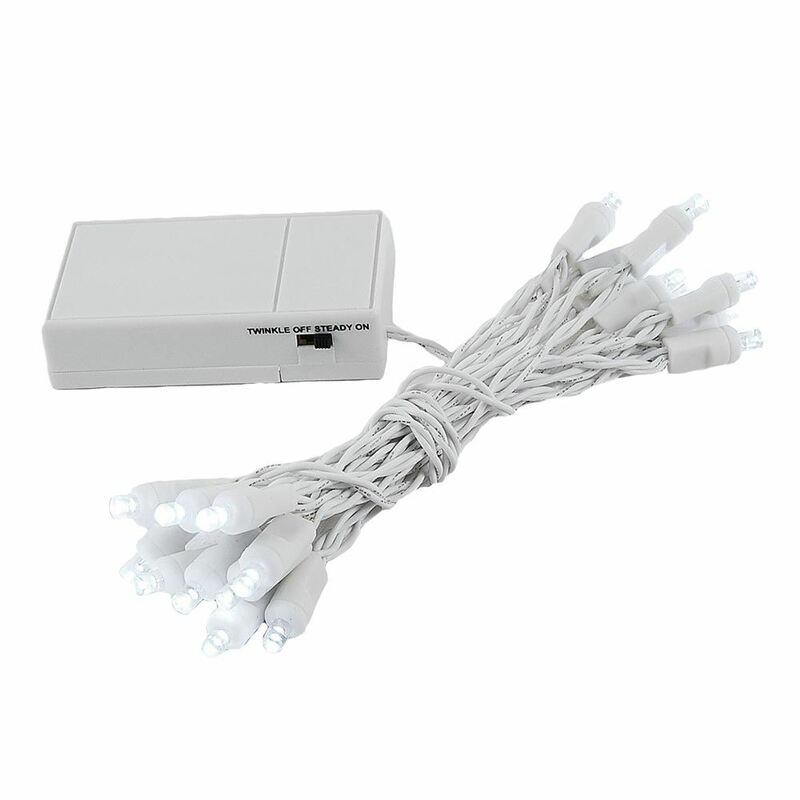 Great for table centerpieces or outdoor wreaths and trees. 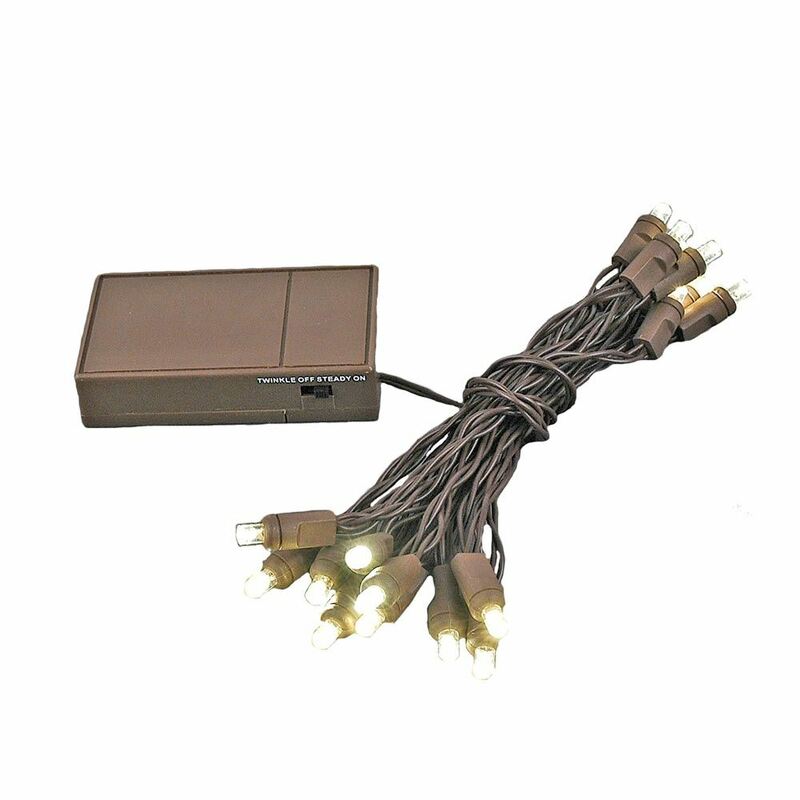 Our commercial quality twinkle LED light sets are for outdoor or indoor use and always UL listed and Energy Star Qualified.